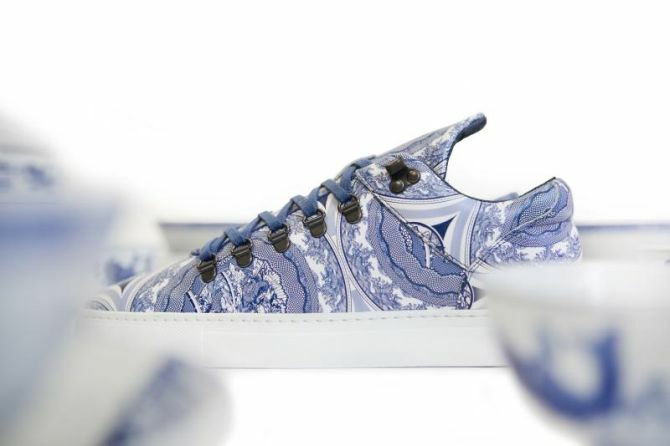 Bodega x Filling Pieces sneakers boast classic blue and white design that’s reminiscent to intricate patterns and floral prints often found on china dishes. This traditional pottery has been popular in China since 1400. Now you can see the classic pattern on a these stylish shoes. The pattern is plastered across a stark white leather, adding unique style statement to the pair. 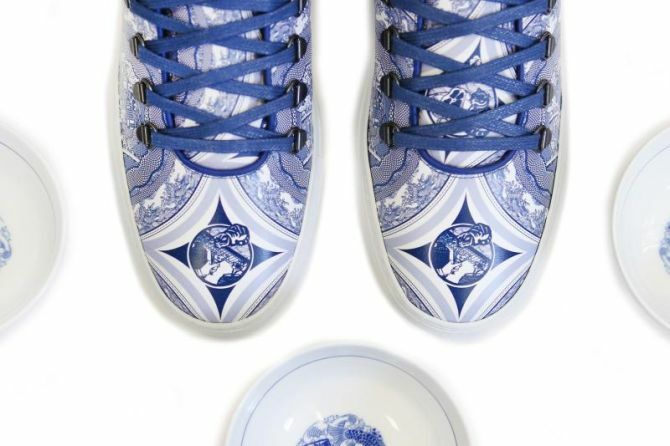 These sneakers are further embellished with metal eyelets that hold waxed blue laces for a contrasting appeal, and firmly supported by white Margom sole. 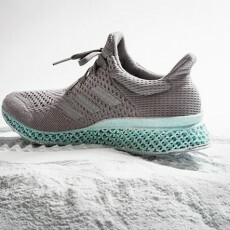 The sneakers also flaunt the footwear label’s signature extended tongue for authenticity. Such cross-culture shoes are perfect for styling up your casual look with a touch of traditional Asian motif. Creating a mix of athletic branding with intricate design, these contemporary sneakers are going to be the first choice of youth for adding quirkiness and funky appeal to their daily wear. 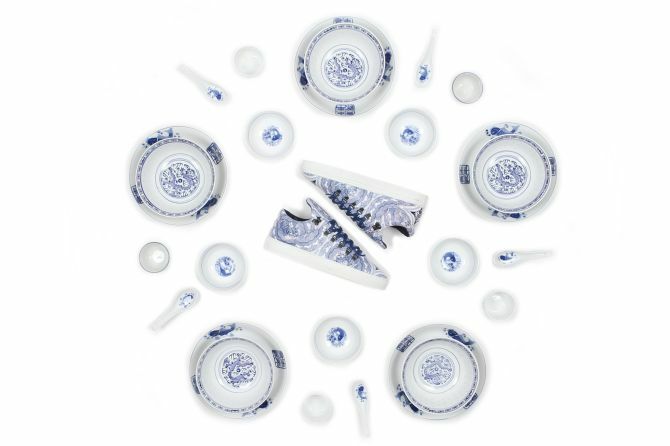 You can purchase stylish Ceramic Blue Mountain Cut pair exclusively in-store and online from Bodega website for US $250.